We take a lot of notes. We do. Take a moment and think back a week every time you jotted something down. A quick glance into memory and I’ve jotted things down on sticky notes, made a few checklists, messages in holiday cards and a few other times I remember taking pen to paper. Our handwriting. Whether it’s the multiple little notes we make on a daily basis or a concentrated sketchnote at a conference, it is our handwriting. 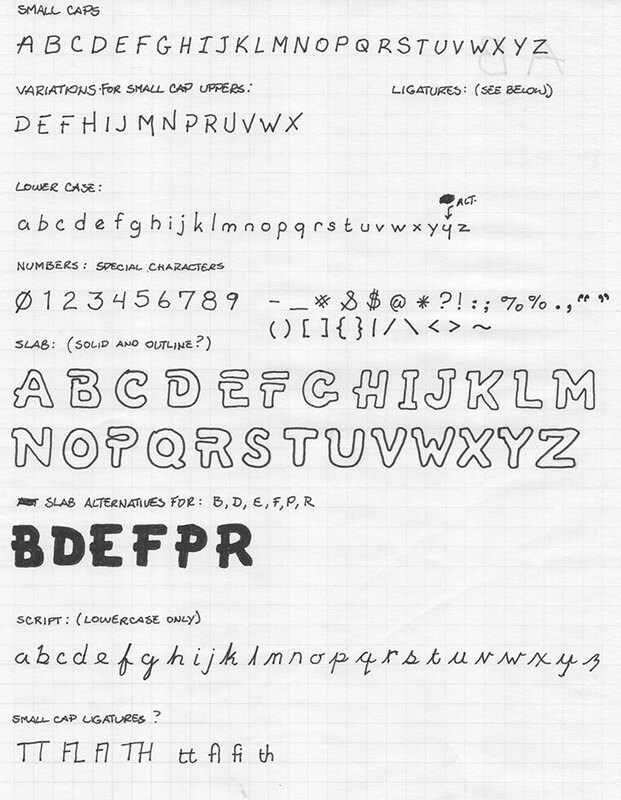 This got me to thinking about handwritten fonts. There are a lot of fonts in the handwritten style available today for free and and even professional handwritten fonts by reputable foundries. There’s even a few resources where you can upload your own hand print or script writing for a few dollars and have your own personal font. I’ve done that a few times, too. Have you written the alphabet lately, though? You may have, but have you ever written the keyboard? Meaning, the alphabet in uppercase, lowercase, special characters, and ligatures. A true font in your handwriting would have all those characters and symbols. Here’s your creative break for today – swipe a piece of paper from the printer and sketchonte the alphabet in your own handwriting. As an extra challenge, do both print and script. This shouldn’t be anything you have to think through or plan. Just write the keyboard in your own handwriting. 5-10 minutes max. For extra extra challenge, create your own wingding font! What a great idea. I really like the way you have laid this out. It’s a great way to make your own font, but also a great way to just start practicing sketchnote fonts you might see others using in their sketchnotes. I’m going to have to try this one over the holidays. Yes, if anything it’s terrific practice in lettering. I learned cursive as a boy but never used it and sometimes I like a script font so I’ve been practicing not so much cursive, but a “script print”. And I’ve always been a fan of block letters, or in this case slab fonts. Have fun! Share yours with the #SkecthnoteFont hashtag and I’ll put it on the Pinterest Board.